Practical applications for practitioners of shiatsu, tuina, acupuncture or those interested in Asian medicine as it brings Classical Chinese Medical texts to life! An historical overview of some of the most important developments in Chinese Medicine. The chance for close examination of original source texts. Course materials ranging from ancient archaeological finds to the evolved accomplishments of Ming dynasty (1600) scholars. Students who are interested in literary Chinese will appreciate that much of the material will include original characters as well as English translations. Cindy Banker, MA, Certified Instructor in Five Element Shiatsu (AOBTA); Dipl. ABT (NCCAOM). In addition to maintaining an active clinical practice, Cindy has been teaching Five Element Shiatsu and Traditional Chinese Medicine for more than twenty years. 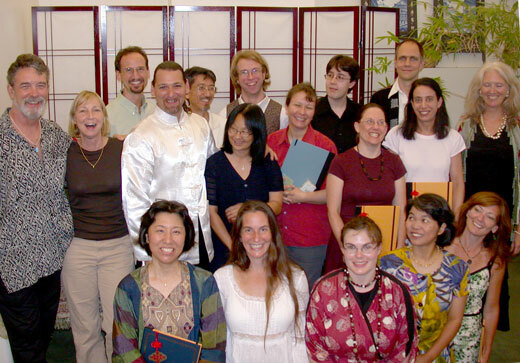 In the early 1990's she closed the New England Shiatsu Center to pursue an academic tract in the history of Chinese Medicine. She completed a master's degree at Lesley College on Chinese herbal medicine and language. Ted Kaptchuk, OMD served as an expert in the field and her primary advisor for both degrees. Cindy has taken literary Chinese at Harvard University and has presented her translation work from the Lei Jing (1624), for Chinese Medical text reading workshops at Harvard and Princeton Universities. She has presented many workshops on her original research and reproductions of original source text material.